Yesterday was a snowy cold day so I decided to work on something that was bright and cheery. Because of the color coordinating system, matching stamps, great embellishments and quality products, Close To My Heart makes creating so easy! I set out to create something different…a 3D item that would utilize all kinds of products. I had this metal bird cage that was just screaming for some decoration. There are so many different techniques and fun embellishments packed into this one bird cage. Let me share a few… the rolled flower at the top, matching “leaves” and base the bird is sitting on is from the For Always Textile set (Z1820.) But those textiles are black and white you say…yes they are. I dyed the pieces using Pear and Crystal Blue re-inker. Speaking of the bird, he was cut twice using the Art Philosophy Cricut Cartridge. I glued the pieces together so that he was 2 sided. I added a tooth pick in the middle so that I could stabilize it in a piece of foam that was wrapped in the dyed fabric and hot glued to the bottom of the cage. There are also cuts from each of the 3 CTMH cartridges. There are so many different and creative elements that can be used on different projects. If you consider all of the different elements in the 3, the total is over 2100 different images! By the way, the bird cage is done entirely in CTMH products (except for the shred in the bottom of the cage.) The burlap is product number (Z1760,) the ribbon is the Topiary Mini Chevron Ribbon (Z1929,) the badge button in the center of the flower is a retired item (but available on my website (Z1704,) and the spiral embellishments are the Slate Striped Twist Ties (Z1864) that have been twisted around a pencil. Let your imagination run wild with all the creative possibilities that Close To My Heart has to offer. For Now, Happy Crafting! It is the 9th of the month, so that means it is time for the Joyful Stars Blog Hop! Our theme this month is to use something from the new Idea Book. What a decision…there are so many wonderful things in the catalogue and I feel quite certain that you are seeing all kinds of goodies in the new book. So, if you’ve arrived here from Helen’s Blog you are on the right track. This month I decided, after long mental debate, to use the Ivy Lane (X7178B) paper packet for my projects. This is a basic scrapbook layout that I designed to make in an upcoming Scrapbooking class. Several of the gals coming to this class have never made a Layout so I thought the Ivy Lane papers and the Ivy Lane Complements (X7178C) were perfect. 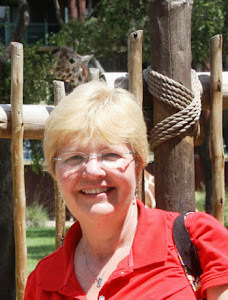 It is time to head over to Nancy’s Blog to see what she has completed for us. Remember, this is a circular hop so if you get lost along the way, you can always go back to Joyce’s Blog to find everyone. For Now, Happy Crafting! This is just a quick post today before I head out to work. So many of us are suffering with the cold, snow and ice. So, I thought it would be fun to make a project that we could use to help us stay warm. This is a matchbook style tea bag holder. It works up quickly and is fun to make. This is the inside with the tea bags inserted. The pockets are also the perfect size for chocolate square too. Think of this decorated for Easter or Halloween. It would be perfect to give as a treat to neighbors or school children. The directions to make this holder can be found here. Well, it is off to work for me. As you are trying to stay warm, give this cute little tea bag holder a try. BTW, mine is made with all CTMH products. Guess you’re not surprised about that. For Now, Happy Crafting! Picture My Life, or PML, is a program design to help you easily and creatively get those treasured photos off the phone or out of the box and onto pages that everyone can enjoy. I’ve got to tell you, I hate when someone says to me “Here look at the pictures” and they had me their phone. I can’t see it well and what the heck do you do if it rings? 10 – 12 x 12 Memory Protectors (styles include pocket sheets that have room for both landscape and portrait photos and cards. So, if you are around my age, you have box after box of photos taken over the years. In all reality, it is a pipe dream to think that you will ever get them scrapbooked. Upon receiving my kit, I immediately set out to find a box to work with. I knew what I wanted…those pictures taken in the “90’s” of trips taken with my Mom. Several years in a row, we left the “boys” at home and headed out on a Mother Daughter adventure. We saw such wonderful things and the pictures are just sitting in a box. I am having such a wonderful time reliving those trips. I was working with pictures that I hadn’t seen in years! Here we are at the Grand Canyon. Wow… What is really nice about the program is that you are not trapped by just putting photos into pockets. If you look closely at the middle row, the pictures on either end is actually one photo. I cropped it down the middle to fit with the pockets and cards! Here is another one…It is recommended that you use a 50/50 mix of photos and cards. See how easily you eye moves around the page? The possibilities are endless. You could add embellishments on the cards, add a full page or do whatever you would like to create your book. Now, many of us also have photos “stuck” on their phones and tablets. Ugh, like I said earlier…how do you share them and is it really fun to just scroll on a tiny little screen? There are several programs out there that you can use to print those memories. I spent a little time researching the possibilities. 1. There are apps that allow you send the photos to a printing site and they will send them to your doorstep. There are even apps out there that for a small monthly fee, will allow you to mark a photo as a favorite and once a month you are sent printed copies. No more excuses that you are too busy or you forgot! Take a look at something called Picture Postie or Print Free. I’ve not used them so I don’t know about the service but it is worth further investigation. 2. Several Drug Stores and Big Box stores also have apps and programs that allow you to send the pictures to the selected store and then in an hour go pick them up. 3. Or, you can do it the “old fashioned” way…the way I’ve done it. I email the picture to my self, edit as I want and then print from my computer or take a thumb drive to the drug store. or so many pictures on your phone, take a look at CTMH’s Picture My Life Scrapbooking Program. I am completely blown away by the possibilities and looking forward to doing so much more with my old photos. Think about it, do you have photos “wasting” away? Stop by my website to look at the other themes available. For Now, Happy Crafting! The CTMH Spring Summer 2014 Idea Book is Here! Click on the picture to see all the new Close To My Heart products. For Now, Happy Crafting!